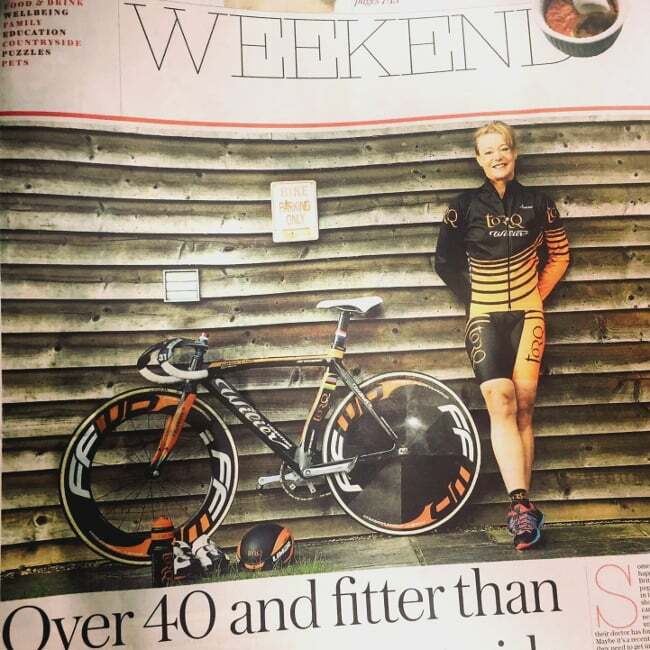 TORQ have had a longstanding association with Jan over many years, but back in 2014, we decided to put a track team together consisting of 4 very talented female track cyclists, Melanie Sneddon, Louise Haston, Maddy Moore and of course Jan. Without Jan’s enthusiasm and professionalism, the team would never have got off the ground, and since its launch, they have topped podium after podium. The infographic below summarises the team’s performances this year alone. In the recent World Masters Championships, if TORQ were a nation, it would have ranked 4th on the overall medals table, or 2nd on the Female medals table, behind only Team GB. 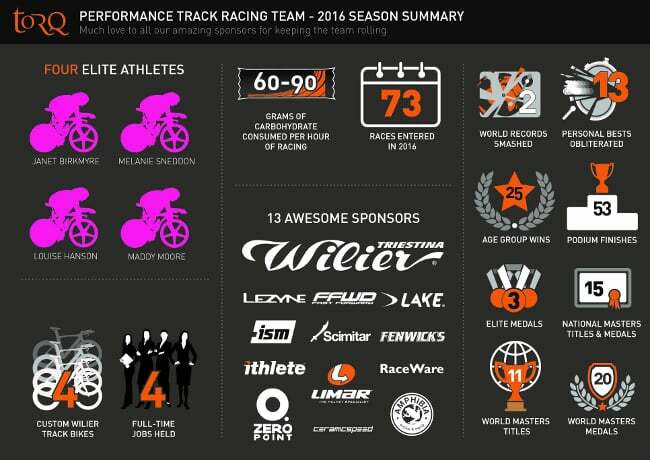 The TORQ Performance Track Cycling Team took 9 World titles at these championships a few weeks back – quite staggering!